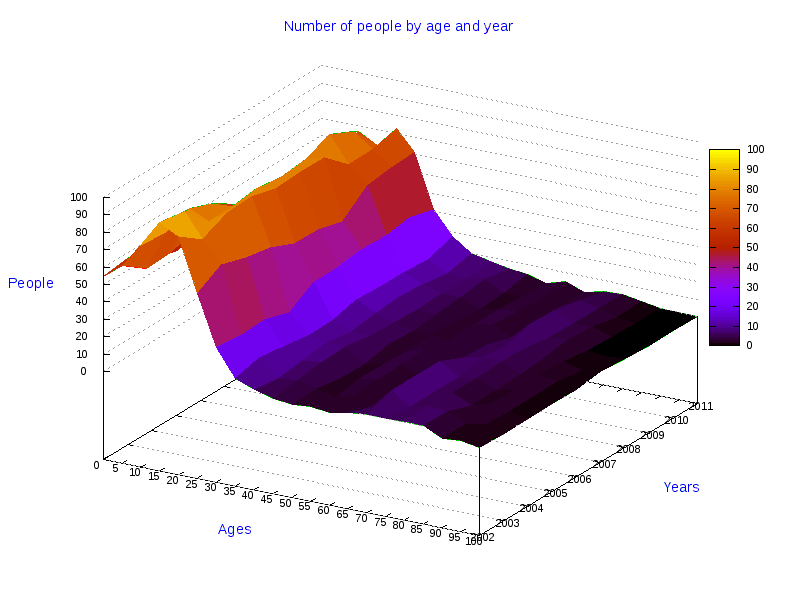 As an example, the value 35 collects all the people whose age is comprised between 35 and 39 years, due to the facty that che next point on the "Ages" axis is 40. This is stated in an more explicit way in the tabular representation of the 3D data. For the town of Baselice are available the statistical data about Single females, Single males, Married females, Married males, Divorced females, Divorced males, Widows, Widowers, about the Number of females and also about the Number of males.